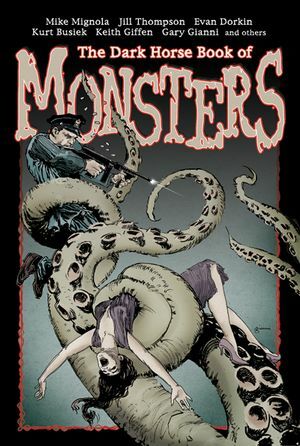 MooreReppion.com Blog: Book of Monsters OUT NOW! Strange Attractor Journal 3 OUT NOW! Book of Monsters OUT NOW! Lancaster Con '06 = succcess! Today sees the release of the Dark Horse Book of Monsters which features work by comic book luminaries like Mike Mignola, Jill Thompson and Kurt Busiek... and US! We have an eight pager entitled "The Horror Beneath" with art by Timothy "Swamp Thing" Green. What was it Dark Horse said to me when I tried to interest them in The Haunter of the Dark? Oh yes: "Horror doesn't sell."